Hello ... Hello ... my old friends ... It's great to see you once again! ELO Beatles Forever [ELOBF] are proud to exclusively reveal a stunning new version of the ELO classic "Summer and Lightning" - the third movement of the Jeff Lynne penned "Out Of The Blue" masterpiece "Concerto For A Rainy Day" - by ELOBF recommended singer/songwriter Stephen Lawrenson, having first approached Yours Truly KJS last September with a demo of what is now his new single. And I've been actively encouraging him to release his impressive acoustic interpretation ever since! "It's obviously one of my favourite ELO/Jeff songs and probably quite unlikely as a cover as it was never a single or "hit" [at least that I know of]. I wanted to take an acoustic approach with the instrumentation, not just an acoustic version, but one where I was trying in keeping with all the orchestral parts of the original, just using all acoustic instrumentation [6 and 12 string guitars, piano, congas, maracas, hand claps and voices]. I really just did it for fun but thanks to your encouragement it is available as a single now at iTunes, Spotify, CD Baby among a bunch of others [as of today!]... just paying homage to one of my long-time heroes!" 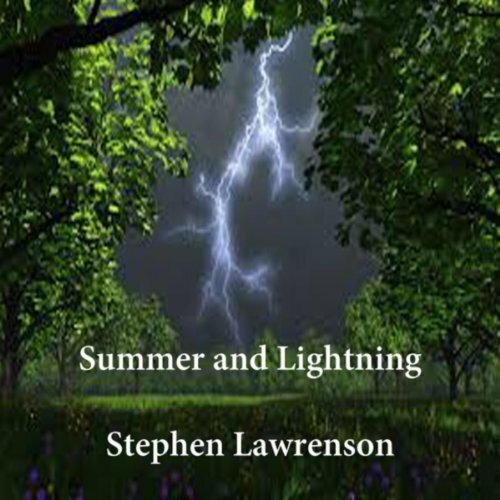 ELO Beatles Forever [ELOBF] recommends Stephen Lawrenson and his fantastic cover of "Summer and Lightning" to those enlightened folks who enjoy the music of ELO, Jeff Lynne, Roy Wood, The Move, The Idle Race, 'Brum Beat', The Beatles and related artistes.